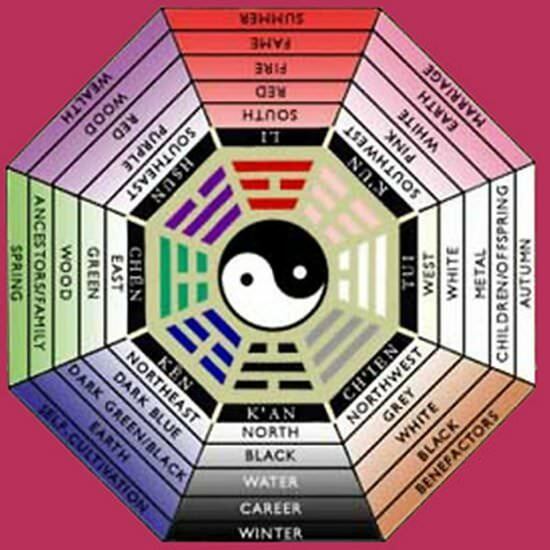 Feng shui birth element based on birthday can help you understand some of the influences that shape your life. They are important because they help define the chi energy you attract. 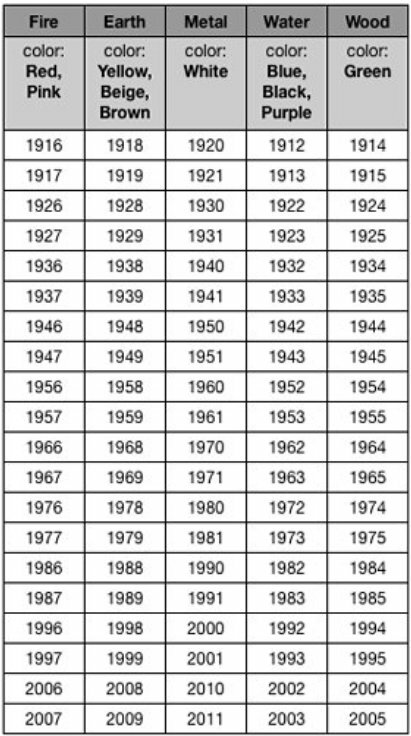 You can understand what main element governed the year in which you were born and any influences it has over you. What Does The Elements Mean To You? The element of the year in which you were born has an influence over you. This is where you feel most at home. Water brings a sense of calmness to you and you love being around and in water. You are also a person with fresh new ideas and have a sense of ease . You are naturally drawn to the north direction. Your best colors are blue and black. You are a health conscious person and enjoy good health and vitality. You are a nature lover and is happy especially surrounded by trees and forests. With a wood element there is a tendency towards great prosperity and wealth. Direction is South with support from the Northeast and Southwest. Colors are red, pink, purple. Flourishing relationship and stable relationship are the forte of people under earth element.Home is an important haven where strength and harmony reign. Direction: The center of the home is earth as are the Northeast and Southwest. Colors are yellow and tan. Brings the element of vision and clarity. 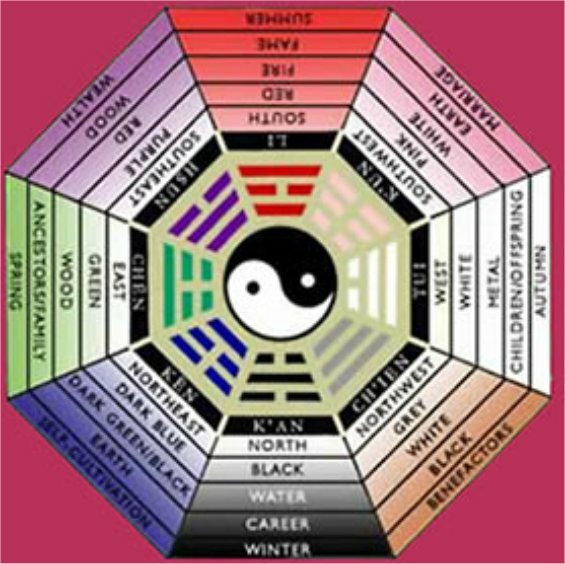 Precision and efficiency follow this energy and helps to crate balance in life. The directions for metal are West and Northwest. Metal is used to activate the water in the North. What you you? Comment below and tell us!